WASHINGTON - Indiana Pacers guard Rodney Stuckey will miss at least three games after aggravating a strained tendon in his left foot. Pacers coach Frank Vogel also said the team has received a hardship exception to sign Israeli guard Gal Mekel. The Pacers went into Wednesday night's game against the Washington Wizards with 10 healthy players. Paul George, George Hill, C.J. Watson and David West are among the injured. 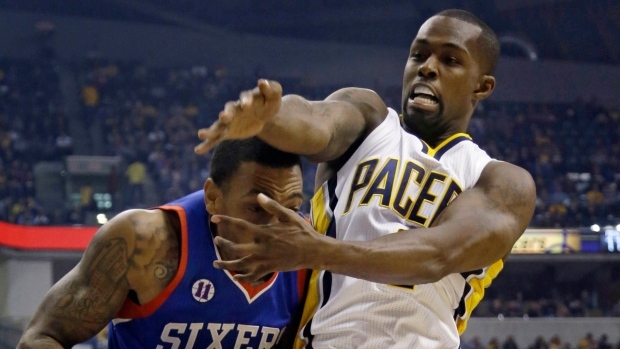 Stuckey aggravated his injury during Tuesday's loss to the Milwaukee Bucks. Mekel played in 31 games last season with the Dallas Mavericks, who waived him last week.